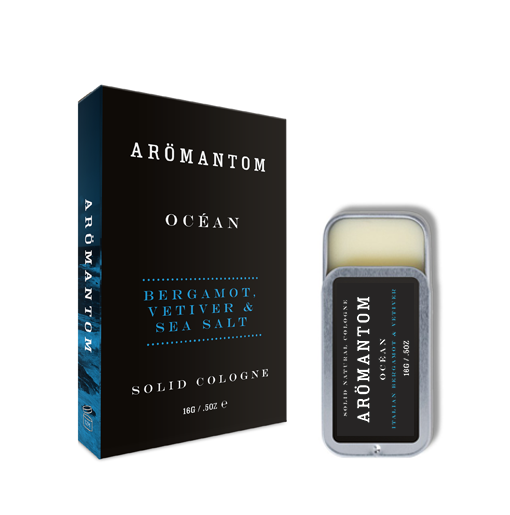 Our Ocean Solid Cologne is a fresh, sharp fragrance where sage, bergamot, sea salt and grapefruit are intertwined with hints of bergamot and tangerine. The invigorating heart of this fragrances is freshened by nuances of seaweed, sea breeze and minerals. All smoothed by a base of musk, amber & cedarwood.